Private courses are available upon request for individuals or groups, check our calendar for open enrollment opportunities. No previous training or experience required. Tactical Medicine classes fill the gap between combat aid and civilian EMS training. Basic Tactical Medicine (TacMed) is an 8 to 9 hour course that includes an overview of tactical emergency combat care, environmental hazards and treatment, bleeding control, and wound dressing. Students will receive instruction and demonstration on each course topic and then be expected to perform the task under varying levels of stress. This course exposes students to visually traumatic images and artificial blood. Portions of this training include physically demanding and emotionally challenging scenarios. Students will follow the MARCH algorithm to be able to apply in any situation in their life. The TacMed course curriculum is based on Tactical Emergency Casualty Care (TECC) & (TCCC) core concepts. At the end of this course, students will be expected to: Perform work priorities in a high threat environment. Unless noted on the calendar, dates or private requests, this is a scenario based training course without live fire introduction. (TacMed) for LE/MIL personnel builds on Basic TacMed curriculum, adding pre-hospital trauma care while under fire. The focus of the instruction is to give the student the ability to recognize, evaluate and control life-threatening injuries common to all first responders and emergency team members (citizens can attend with basic TM completed) with a tactical slant. Students will be expected to provide care under fire, or responding to a mass casualty event. If needed, course can be pre-approved for TCOLE or TEEKS Fire/EMS/Law certifications. 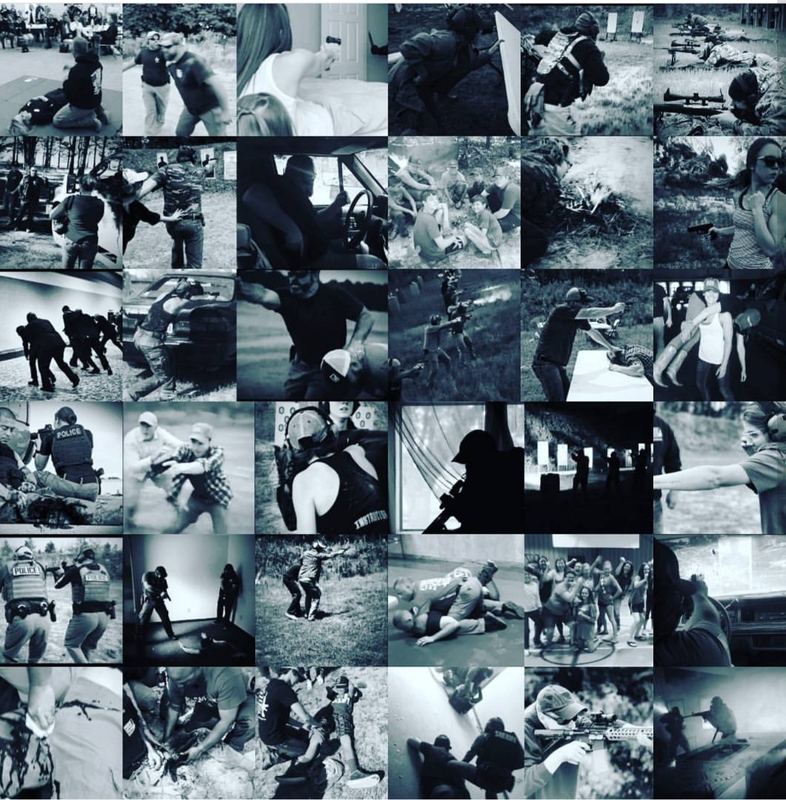 Intermediate Tactical Medicine can be constructed to a 1 to 2 day course covering trauma topics designed to decrease preventable death in high-threat situations. It fills the gap between military combat first-aid and civilian Emergency Medical Services (EMS). Topics include: engaging a active threat, cover vs conceal, managing trauma, hemorrhage (bleeding) control, wound dressing, breathing/airway control, pediatric care, and techniques for dragging and carrying victims to safety while actively engaged in a gun fight, triage and evacuation. Students experience plenty of hands-on dry fire practice in the field , along with role-playing demonstrations and drills. The live-fire portion of the course focuses on fighting while wounded and shooting from multiple positions . The drills will include two and one-handed pistol manipulations and rifle if specified in course. Intense threat engagements and elevated casualty rescue scenarios will be incorporated. Must have completed TAC Med Basic or Equivalent , also attended a defensive handgun 1 course or equivalent from reputable trainer, LE school or military school. Our team can provide you with the basic first aid certification course if needed for your group, team, school or organization. Contact us for details and special group pricing.